One of the most human characteristics is the need to tell and be told stories. We believe this tradition began when our most distant ancestors gathered around a communal campfire at the end of a long day of hunting and gathering. To entertain the restless children in the band, one of the elders may have told a story of heroism during the hunt. When the listeners began to grow bored with a simple retelling of events, the storyteller learned to raise and lower his voice to convey different characters and may have added movement to his performance. Soon, more than one storyteller was involved in telling the story, each playing a different part. In time, storytellers learned to use masks to represent different characters and classical drama as we know it was born. Whether it uses masks, lighting, curtains and scenery, music, or just a single voice, drama is a series of experiments in storytelling methods. Stage productions may have been the ultimate expression of drama, and, in many ways, early cinema was simply an extension of the stage. Before the movies learned to talk, commercial radio began to be developed as a means of sharing information, entertainment, and stories. There was a certain amount of competition between the two forms of "mechanical drama", cinema and radio. Movie makers, faced with a more technical process, not only had an earlier start but were more open to experimentation. 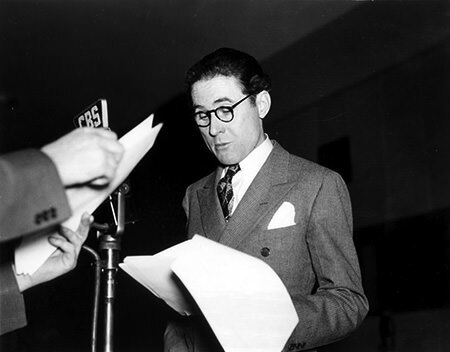 Radio, on the other hand, appeared to have reached its limits by broadcasting music, reporting facts, and simply telling stories, usually no more sophisticated than reading lines into the microphone. When the movies learned to talk at the end of the 1920s, the sound element soon became as important as the visual in cinema. Although some early experiments in television were underway, there really was no practical way to add a visual element to radio. However, radio experimenters did work toward giving the listener a visual image or reference. CBS led the way in embracing and celebrating efforts to help the listener in "Seeing What You Hear". The best known of these efforts were the various incarnations of The Columbia Workshop. Most famous for the experimental writing style of Norman Corwin, the Workshop's first director was Irving Reis who began as an engineer for the network. Reis emphasized technical means such as sound effects but he certainly appreciated the need for material specifically written for a purely aural medium. The National Broadcasting Company always had a more commercial emphasis in comparison to "the Tiffany Network", but this was an area where they could not afford to be seen as taking a back seat to CBS. The response during the 1940 and 1941 seasons was Listener's Playhouse. The "playhouse format" was one which NBC was very familiar, having used it for several different dramatic presentations, including their successful The NBC University and Great Plays series. While Columbia Workshop became a showcase for CBS, just as Great Plays and University was for NBC, Listener's Playhouse was treated like just another sustained program by the network brass. However, the program did showcase some interesting elements and techniques of radio presentation. In "The Twenty-First Girl" the story to Paul Bunyan is told with different background music for each character. "No Program Tonight of The Director's Dilemma" was presented as the players in a radio drama rebelling against their roles but was actually a creative presentation of the various people and elements of a radio broadcast. 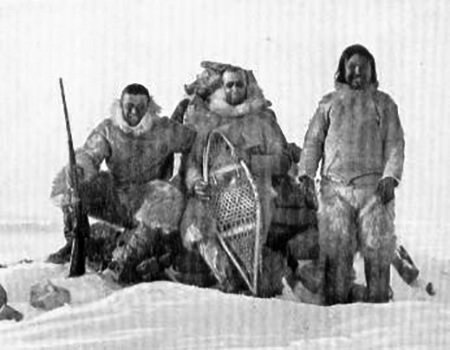 One episode, "And Six Came Back", told the story of the Brainard Expedition to the Arctic and was selected for Best Broadcasts 1940-41. For all of the quality wrapped up in Listener's Playhouse, as a sustained program, the NBC brass felt free to move the program into whatever time slot needed filling. Since they could not find it in the same spot from week to week, listeners were never able to completely embrace Playhouse like they could with Workshop. However, there is no denying that the program helps to define the potential and wonder of radio drama. Be the first to comment on "Listeners Playhouse"